Amazon is here with a great deal offering Baltra Fresco DX BAF-101 2.5-Litre Air Fryer (Black) at Rs 3999 only . Variable temperature control for different cooking moods, safety switch for releasing frying pan from the cooking pan, Grab iT Now..!! 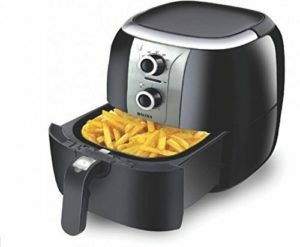 How to Buy Baltra Fresco DX BAF-101 2.5-Litre Air Fryer (Black) at Rs 3999 only?